2. 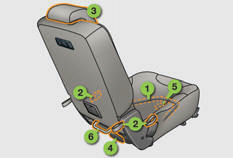 Seat back angle adjustment / Table position. 3. 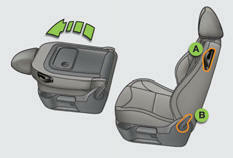 Head restraint height adjustment. A. 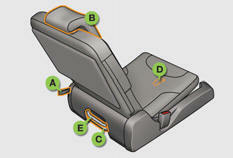 Seat back angle adjustment / Table position. B. Head restraint height adjustment.